Wright Steel & Machine Co.
Wright Steel & Machine Company, a technologically-advanced metal service center, fulfills a wide range of needs including metal sales, fabrication, machining, laser cutting and industrial powder coating. Nationwide, we provide industrial and individual customers with the highest service and quality. Our dedicated sales team and knowledgeable craftsmen have decades of combined experience in the metalworking industry. When you work with us, you can have confidence in our experience and skills. 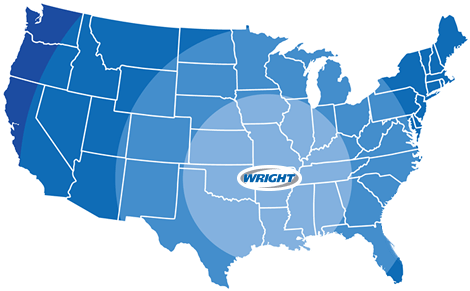 Committed to quality service since 1961, Wright Steel & Machine Company is now proudly managed by a third generation of owner/operators. © 2014 - 2019 Wright Steel & Machine Co.